Top chef James Martin talks, food, farming and game as he takes his restaurant to the heart of the 2018 Game Fair. James Martin talks food, countryside and game! 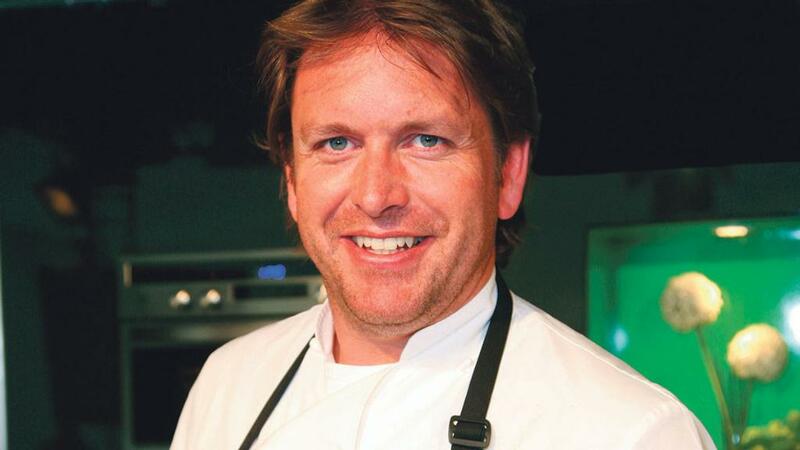 Having always been passionate about the great outdoors, popular TV chef, James Martin, is going back to his roots this summer by showcasing the best of British food at this year’s Game Fair. Held at Ragley Hall, Warwickshire from July 27 to July 29, the main arena will play host to the James Martin Game Fayre Restaurant, a relaxed deli-style experience with a menu to truly celebrate the British countryside. After numerous successful TV series exploring French and American food, here the popular cook talks about his passion for travel, food and the countryside at home and abroad. Q: Comparing your two adventures in France and America, what was the biggest difference you noticed when it comes to food? The main difference is that there is more of a history of food in France, without doubt. But I found that passion for food is just as strong in the US. The US is similar to the UK in a way. We embrace food cultures from around the world, be it Indian, Thai or Italian. What the US has done over the past 20 to 30 years is similar to the UK in terms of the level of quality, and France no longer looks at the UK as a poor neighbour for food. Q: You’ve already filmed James Martin’s French Adventure and James Martin’s American Adventure. If the world was your oyster, where would you go for your next series? Japan is really a place I would love to visit and I hear so much about the food there. The main problem is time to go there, but it’s definitely one place in the world all food lovers should go to see. Their respect and workmanship with food is A1. Q: Closer to home, you’ve just been announced as the creative influence behind The Game Fair restaurant, which will be called the James Martin Game Fayre Restaurant this year. How did that come about? I’ve been several times and I’ve always enjoyed the atmosphere. As soon as The Game Fair got in touch I knew it was a great fit, especially given my background growing up on a farm in the countryside. So it didn’t take long to agree. It should be great fun. Q: What do you like best about The Game Fair? I love Gunmakers’ Row, but the best thing for me is watching the working dogs, be it gun or sheep dogs. It reminds me of my childhood, being brought up on a farm. Q: You have a working dog of your own in training. What inspired you to do that and how is it going? I love my dogs. Ralph is a five-year-old Shih Tzu and Cooper is a two-year-old blue roan cocker spaniel. When I was growing up, a gamekeeper in my village used to have a gundog and I have never forgotten it. I was impressed by its temperament and training. It’s great to have Cooper in training now and seeing him learn and develop. He sees trainer Jason Mayhew every week or so. I have huge respect for trainers like this. The amount of time they put into it is beyond belief. I’ll definitely be checking out the working dogs at The Game Fair this year. Q: So a perfect day out in the British countryside for you would be with your dogs? Exactly. When I have a rare day off, they give me the perfect excuse to get off my backside and go for a walk. Q: But you’re a motorhead. If you had to choose between a drive in the countryside or a walk with your dogs, what would it be? It would be both! The dogs like to chill in the car too. They don’t like the house too much. Like me, they prefer it outside. So I’d take them for a nice drive, park up and then go for a walk in the countryside. Q: How much did growing up on a farm influence your life and career? Massively. You respect and learn the value of food, animals and producers when you are there seeing how hard and tough it is to grow and produce the food we eat. Q: So what are the best countryside ingredients to cook with? Cooking game is one of the highlights for a chef. Grouse, partridge and pheasant are a joy to cook and great to eat. Q: Do you have any favourite game restaurants? I’ll have to say one of mine, won’t I? When in season, my restaurant inside The Talbot Hotel in Malton, North Yorkshire serves delicious game dishes. And James Martin Manchester, which specialises in modern British cuisine, is just as good. Q: What can visitors to The Game Fair expect to see on the menu this year? Well, classic British countryside dishes, that’s for sure. We shouldn’t forget that we will be in the middle of a field – in a field kitchen. That poses a challenge, but that doesn’t stop us doing things out of the norm, so both myself and my team are looking forward working with the organisers to give people a great place to eat.